Every client is unique, and it is important that we offer a range of services that comprehensively address our clients’ needs for asset protection, income tax planning, estate planning, offshore planning, and to provide funding for liabilities at death. Ascendant Law Group LLP has developed relationships with investment professionals, insurance professionals, tax and estate planning counsel, appraisers, and Certified Public Accountants that are necessary to implement a successful client plan. Just as importantly, we believe education is at the core of our client relationships and provides the foundation for a successful client plan. Client education is, therefore, paramount, and it is our philosophy that effective planning includes thorough periodic review, maintenance, and modification of each client plan so that the plan remains successful. Education is customized to each client,but may also include group education sessions that allow are clients to become acquainted with changes in the law, new planning concepts, and network with other Ascendant clients. Simply, Ascendant’s mission is to provide our clients with the best legal advice, white glove service, and precise execution. 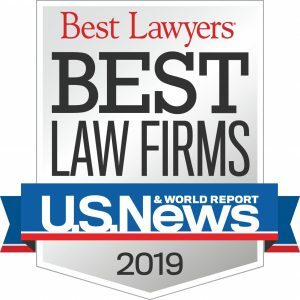 We are pleased to announce that Ascendant Law Group LLP has been selected by U.S. News and World Report as one of the Best Law Firms in the U.S.